To Quickly Receive A Outdoor Concrete Services Quote in Sacramento, CA, Give Monsters Concrete A Call Today! One of the nice things about Sacramento is that we always have pretty decent weather. There are many days throughout the year that can be enjoyed outside. Wouldn't it be nice to have a meal on a decorative concrete patio outside with your family? We are a leading provider of outdoor concrete services in Sacramento. Monster's Concrete has several years of experience in refinishing and resurfacing concrete patios and outdoor concrete in Sacramento. Decorative Concrete has become a very popular option for a lot of reasons for both commercial and residential spaces. It can be used as flooring for outdoor spaces such as kitchens, covered porches or outside patios. There are a variety of different colors and stamping methods that can be applied to outdoor concrete in Sacramento. Stamps are designed to make concrete mimic stone or brick which can help to match the architectural styling of your home. Driveways and walkways are commonly paved with outdoor concrete. This is because of the strength and durability of concrete. It is an excellent surface with lasting traction for all driveways and walkways. It's very low maintenance and cost effective over long-term usage. Once the concrete is poured you will not need to worry about it for years to come! Monster's Concrete prides ourselves on customer service. We know that it can be a difficult choice when it comes to your options for outdoor concrete ideas in Sacramento. So we make sure that every step of the process is seamless for you. Whether it be a new patio that you are looking for, a new walkway, or a new driveway. Monster's Concrete has the outdoor concrete solutions in Sacramento for you. Call today for a free estimate! Sacramento outdoor concrete works at the best price! Confused about how to make the outdoor spaces beautiful similar to the indoor at your sweet home? When home improvement options are considered, creativity will never see any bounds. There are thousands of options to make your home beautiful and appealing, so that you as well as your guests will find it an enjoyable experience. Coming to flooring options for backyards, patios, and walkways to garden etc, concrete is an oft-recommended one. Concrete floor not only adds to the elegance of your home, but also widens the possibilities of creating relaxing space in the outdoor area. Choosing concrete floors for your outdoor spaces have many benefits over other floor types. 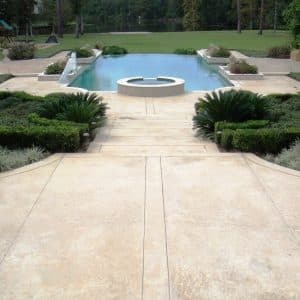 If you are confused about choosing concrete floors for outdoor areas, here’s all you need to know about outdoor concrete Sacramento, and why choosing Monsters Concrete Sacramento, a reliable concrete contractor in concrete outdoor Sacramento CA, would be wise choice to make your outdoor concrete floor beautiful. Concrete is incredibly durable material that will hold its form even in extreme temperatures. We can install concrete that is designed to withstand even the worst scenarios such as earthquakes. It can be a versatile material and can be stamped and textured as required. You can achieve a number of different looks using different colors or stains. If desired it can be polished to a sheen. Installation is easier due to the lack of seams. It can be a cost-effective option for projects such as landscaping. 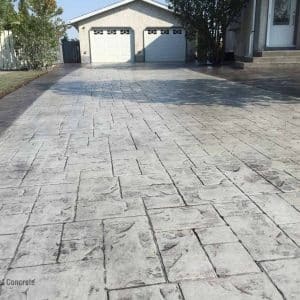 If you have been thinking about getting estimates for outdoor concrete in Sacramento then be sure to look up on the contractor that you are thinking about using. Many "contractors" out there claim to be licensed and Bonded but are not. If a contractor destroys something on your property and they don't have the proper bonding or insurance then you are going to be out of luck. Another thing to think about is that if they aren't willing to go through the legal process of becoming a licensed contractor than do you really want them working on your home. Go ahead and do your research on Monster's Concrete and give us a call. We promise that you will not be disappointed. As our name Monsters Concrete Sacramento, says, we make one of the reliable partners when you think of concrete broom finish Sacramento CA. Indeed, we are a sought-after name in Sacramento broom finish concrete services. Our services are not limited to it. There is lot more we can offer to our clients when it comes to concrete services in Sacramento. Apart from that, we will be happy to give you wonderful services in concrete replacement and concrete removal. The best part of hiring us for concrete removal and concrete replacement is that our services include waste disposal as well. We make it sure that there is no mess left behind and we remove all the waste materials from the site. Even if you want to remove the old concrete construction and make it attractive among broom finish concrete Sacramento, we are just a call away to help you. Recently, people are opting for creating living room in the outdoor spaces, to make it more relaxing and enjoyable at the comfort of the nature. Here goes more benefits of opting for an outdoor concrete space. The outdoor concrete entertainment space will give you a natural feel while you relax. It is a way of staying close to nature. Furthermore, it gives a warm feeling as the concrete is able to absorb heat and retains it, so that the atmosphere will always have a cooling effect. It is capable of sustaining in all weather types as well. The outdoor concrete patios or living spaces will be a real blessing during summer evenings. Also, if you belong to a place with hotter climates, concrete outdoor spaces will make a perfect choice. The cost-effectiveness is another reason for attraction towards the concrete floors in outdoor areas. You are already aware that concrete is a hard material and tops in terms of durability. The materials used in outdoor concrete spaces are durable and will remain the same for many years. So that homeowners need not have to worry about frequent maintenance and spend money on it year after year. Once concrete floors are installed, it will remain the same for many years. Design flexibility is higher, when it comes to the concrete floor in outdoor spaces. The plenty of design options and color-wise choices make it a preferred choice for creative designers. From the part of homeowners, the uniqueness of the outdoor space can always be maintained with concrete outdoor spaces. Concrete floors in outdoor is not only limited to patios or driveways. There are more options where you can explore creativity with concrete floors in outdoor areas. In recent days, backyards are turned into spaces for relaxing, cooking, entertainment etc, that too in the most creative and useful way. Apart from patios and living spaces in the outdoors, kitchens, fireplaces, gardens, driveways, walkways, fire pits, can make use of the creative designs made possible by concrete floors. Different types of textures, designs, colors can be tried out to give a unique look to the outdoor space and add elegance to the whole property. Get in touch with us to know more about concrete outdoor Sacramento CA. Renowned as one of the most trustworthy concrete contractors in Sacramento area of California, we, Monsters Concrete Sacramento, is undoubtedly the final name for all your concrete related requirements. We have constructed our unbeatable reputation in the construction industry through our dedicated and loyal service for our respected clients. Structurally, we continue to excel with the professional expertise we have. We have the best of equipment including modern machinery and workers that are highly knowledgeable about the latest methods to give you incredible service. We are never the company that compromises on quality or aesthetics, be it at any level. We stay updated about all technological advancement happening in the concrete construction sector, so the works we do will always look modern. We continuously keep innovating in the standards of design and beauty in all the projects we undertake. Our superior service includes concrete breaking, masonry removal, concrete demolition, concrete removal, concrete installation, and concrete hauling, to name a few, and among outdoor concrete Sacramento, we enjoy a reputable status among the residents of Sacramento. The committed service we offer to our clients over all these years have helped us to be regarded as the name synonymous with reliability. We continue to put the best of efforts to keep up our reputation in the concrete construction industry of Sacramento with our strong presence. That is why when it comes to outdoor concrete Sacramento, we make the ultimate choice for the residents of Sacramento. When it comes to professional experience of the workers, we are indeed the sought-after name. Our team includes people with almost fifty years of involvement in the concrete construction sector, which means when you hire us, you can be guaranteed of expert service. Right from the planning stage to the final level, the dedicated team will support you with their expertise in all levels to improving your dream home. We do not compromise on the quality of materials used. Moreover, the aesthetic appeal and finishing work will always be above standards. 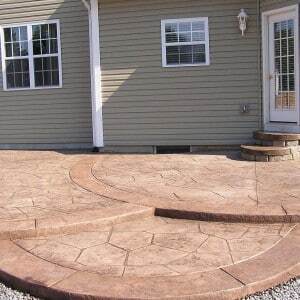 We are capable of doing any type of designs and colors to make your outdoor space, and that is why we enjoy a superior position among concrete outdoor Sacramento. We are devoted in making our clients happy by giving utmost importance even to minute details during the concrete install process. That makes the major factor of the inclusion of hundreds of clients to our clientele list every year. Get in touch with Monsters Concrete Sacramento right now! When you think of hiring service from a reliable Sacramento outdoor concrete contractor, remember we are just a call away. Get in touch with us anytime for a free quote or advice related to outdoor concrete Sacramento CA, and we would happy to give you any information regarding concrete services and provide you our incredible services. Call is anytime to know our services, be it commercial or residential properties. All you need to do is write to us at inquire@monstersconcrete.com, or dial us at 916-237-0180, to get the best of services and designs in concrete outdoor Sacramento CA.